The Yu-Gi-Oh! Trading Card Game is a worldwide monster card battle game based on the manga and anime series of the same name, originally conceived by series author Kazuki Takahashi. 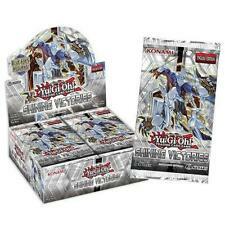 From individual cards and mixed lots to booster packs and complete sets, the Yu-Gi-Oh! card game has included numerous forms of collectible merchandise during its many years of production. Those with an interest in Yu-Gi-Oh! have many different options when it comes to cards to collect, including as Starter Decks. 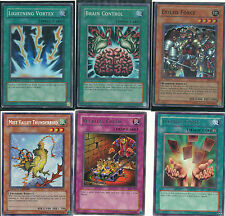 What cards are contained in the Yu-Gi-Oh! Trading Card Game? There are many different types of cards available to play with in the Yu-Gi-Oh! Trading Card Game, with different subsets of cards introduced frequently throughout the game's lifespan. However, three major groups of cards make up the entirety of Yu-Gi-Oh! 's card pool, with every card being one variation of these three. Monsters: Monster cards are used by players to attack and battle other monsters in the various dimensions. Yu-Gi-Oh! 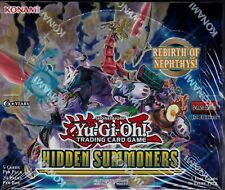 Monster cards can potentially be one or more of the following categories: Normal, Effect, Ritual, Fusion, Synchro, Xyz, Pendulum, and Link. Spells: Originally known as Magic cards, Spells vary in their usage but typically have effects that benefit the person playing them. These Spell cards can be divided into Normal, Quick-Play, Continuous, Equip, Ritual, or Field. Traps: Yu-Gi-Oh! Trap cards have effects intended to "trap" a player, often inflicting negative consequences on the player whose actions trigger them. These trap cards can be Normal, Continuous, or Counter. 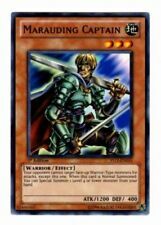 What are forbidden and limited cards in the Yu-Gi-Oh! game? 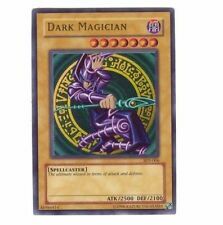 Forbidden: If a card is forbidden, it cannot be used by a player in an official Yu-Gi-Oh! match. Limited: If a card is limited, only one copy of the card can be used by each player. Semi-limited: Up to two copies of a semi-limited card can be used by each player during a match. What other kinds of Yu-Gi-Oh! merchandise is available? The Yu-Gi-Oh! franchise is quite vast after decades of life. 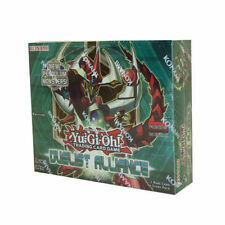 Those who are looking for merchandise outside of the card game decks have many options, including DVDs, and even VHS tapes for the original series, video games, posters, soundtracks, and figures. 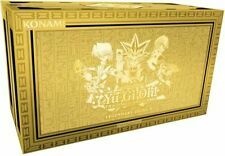 Various types of merchandise, such as the monsters and dragons that are available, have been made for each new Yu-Gi-Oh! anime and manga series as well. Content provided for informational purposes only. eBay is not affiliated with or endorsed by Konami Holdings Corporation.